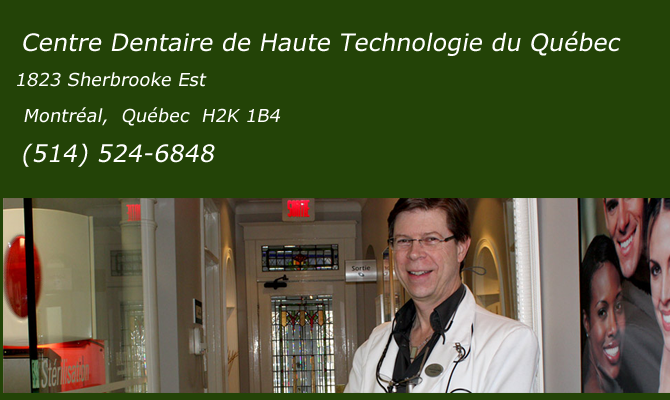 Located in Montreal, besides La Fontaine Park, the dental clinic has been serving the population of Plateau Mont-Royal and the surrounding area for over 30 years. Dr. Dussault and his team are at your disposal to give you the best possible dental care. Since 1982 The clinic opens its doors. The distinguishing feature of our clinic is our pioneering use of technology. These allow us to provide dental care comfortably, quickly and with great precision. It is easy to come to the dental clinic. By public transit, you may use bus #24 on Sherbrooke street or bus #45 down Papineau. If you prefer using your car, we have a few private parking places. To make an appointment now, call (514) 524-6848 or use our online appointment form. Our dentists and oral care professionals will be happy to answer your questions. Clinique dentaire de Montréal équipée des technologies dentaires les plus innovatives.